At the ICCO (International Communications Consultancy Organisation) Board Meeting on Friday, 15th April 2016, Francis Ingham MPRCA announced that PRCA MENA will become the newest member of the international consultancy. PRCA MENA launched in Dubai on 8th March 2016 to drive the sharing of best practices, engagement in world class training, raise industry standards, and allow members to network with like-minded professionals. ICCO is the voice of consultancies around the world. The ICCO membership comprises national trade associations representing 48 countries in Europe, the Middle East, Africa, Asia, the Americas, and Australia. Collectively, these associations represent some 2,500 PR firms. Maxim Behar MPRCA, ICCO President, said: “We are really happy to welcome PRCA MENA as a member of the largest and most influential global PR community. For the past couple of years ICCO has grown like never before and one of the reasons for this is our highly professional and efficient cooperation with the PRCA in London. On the other hand, both Middle East and North Africa are extremely interesting regions for ICCO and we hope that countries from MENA will soon also join the community and will have their seats on the Board”. 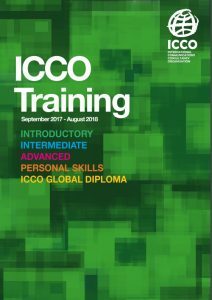 If you would like to discuss becoming a member of ICCO or any other related opportunities then please contact Charlene Corrin and for PRCA MENA, please contact Leanne Foy.